MONROVIA, Sep 11 (IPS) - As the Ebola crisis continues to take a toll on people's lives and livelihoods in West Africa, the focus is increasingly not just on the health aspects of the crisis, but also on its social and economic consequences. There are also health ramifications for those not affected by Ebola: access to regular health care is reduced due to closures of hospitals and clinics, loss of nurses and doctors and increased fees by private health care providers. Vaccination coverage, for instance, had already declined by 50 percent by July. Women in labour struggle to obtain skilled maternity care -- in some cases they are turned away from the few institutions still in operation. People with HIV who are on antiretroviral drugs and people with chronic diseases on prolonged care have had their treatment interrupted as a result of the closure of health facilities. The public health care system has all but collapsed in parts of the areas hardest hit by Ebola. Before the current crisis, Liberia's economy experienced impressive growth rates of up to 8.7 per cent (2013). GDP growth was already projected to decline to 5.9 per cent this year, as mining production levelled off temporarily, coupled with the fall in international prices for rubber and iron ore, before rising to 6.8 per cent in 2015 and 7.2 per cent in 2016. Future growth figures will now have to be revised, as economic activities have slowed down dramatically in most sectors. But there is also an underlying issue at hand: The impressive recent growth in Liberia has not been equitable or inclusive. About 57 per cent of the country's approximately four million inhabitants live below the poverty line and 48 per cent live in conditions of extreme poverty. The lack of equitable, inclusive development means that more than half of the country's population—especially women and children--is particularly vulnerable to shocks and crises, ultimately making the whole country less robust and less able to handle a crisis of any magnitude. Part of the challenge in restoring livelihoods is psychological in nature. Fear and isolation can in the end take more lives than the Ebola virus itself if businesses are not operating, livelihoods disappear and public services are not delivered. Reduced tax revenues go hand in hand with a decrease in the government's ability to respond to the crisis. A decline in revenues is expected as Ebola continues to claim the lives of Liberians and the government continues to enforce travel restrictions as part of the state of emergency. Soon, this is likely to impact salary payments for public employees and could paralyze the country further. Trust in the government is also on the line as it becomes increasingly unable to protect its citizens and deliver the services they desperately need. At the same time, prices of locally grown and imported foods are increasing as the state of emergency, military road blocks and restricted travel slow down trade. The trend is amplified by a vicious cycle of falling consumer demand and shrinking levels of income. In this scenario, it is crucial to put in place adequate social protection mechanisms, as the fall in disposable income make families unable to afford food and health services. This would not only contribute to improving social stability and security, but would also make Liberian society as a whole more robust and resilient. Indeed, a large portion of the population is in need of public assistance. The latest data indicate that about 78 percent of the labour force is in a situation of vulnerable employment. By contrast, formally paid employees (about 195,000 people) make up only about 5 per cent of the population. About 13 percent of households do not have access to sufficient food and 28 per cent are vulnerable to food insecurity. If the poorest segments of the population get access to some form of social protection mechanism, it will enable them to better withstand the current crisis, as well as future ones. 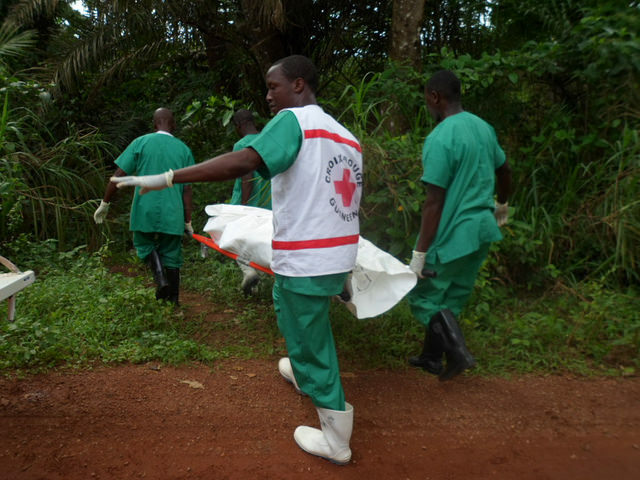 In the remote parts of the country, far from the hustle and bustle of its capital, Monrovia, it is also necessary to strengthen local authorities' ability to handle the crisis, for instance by improving monitoring mechanisms and making protection equipment available for those who are in direct contact with Ebola patients and corpses. The resurgence of the Ebola crisis since July and its gradual escalation into a national emergency in Liberia has diverted the focus and resources available to the authorities to the containment of the virus. In this phase of the crisis, it is necessary to act on all fronts to meet the devastating health, social and economic challenges before Liberia and other affected countries see all their hard-won development gains dwindle to nothing.